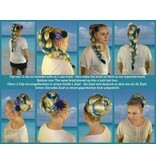 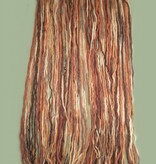 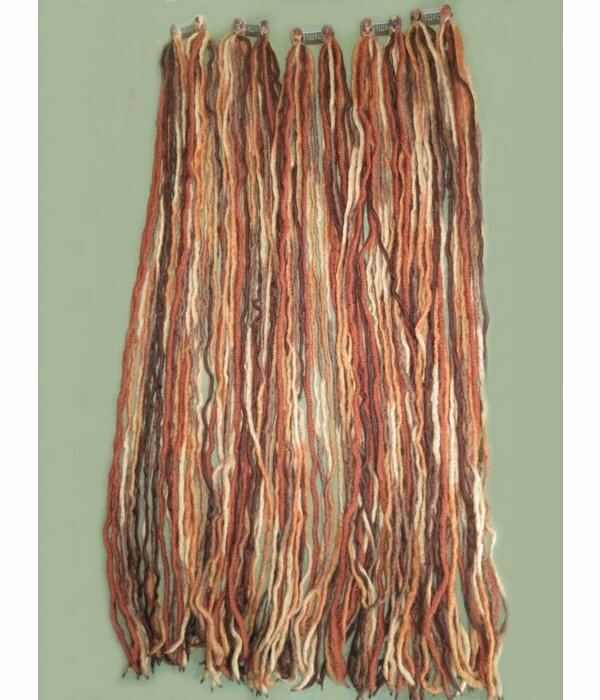 Blonde-brown clip-in dreadlocks - limited edition, our material lasts for a couple of sets only, first come, first served ;)! 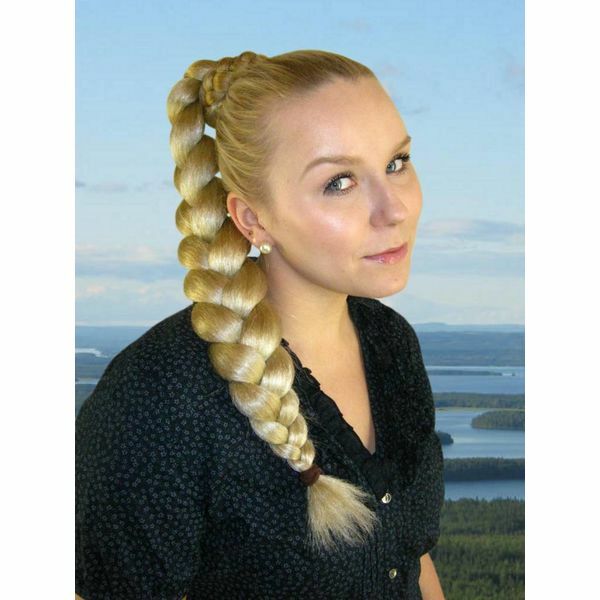 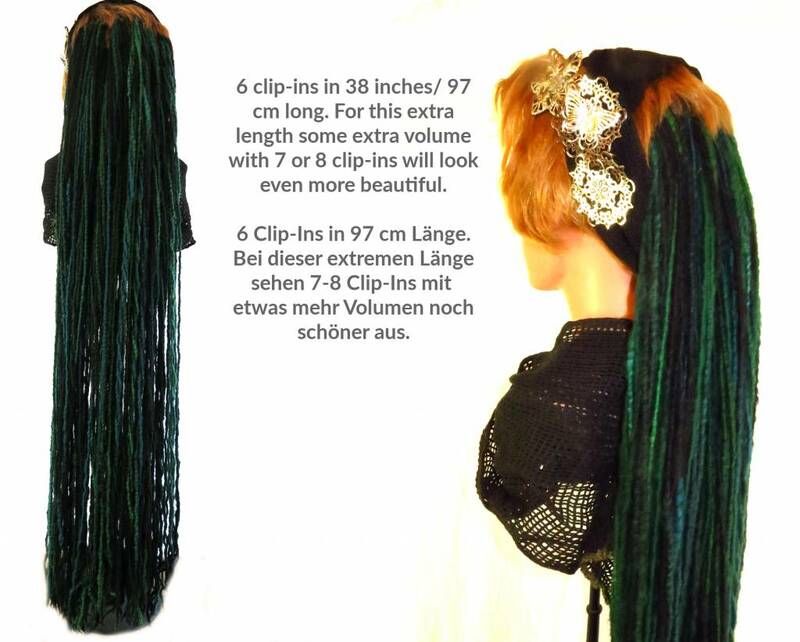 The first picture shows the blonde-brown mix you will get, the other pictures show how you can wear these clip ins and the different set sizes. 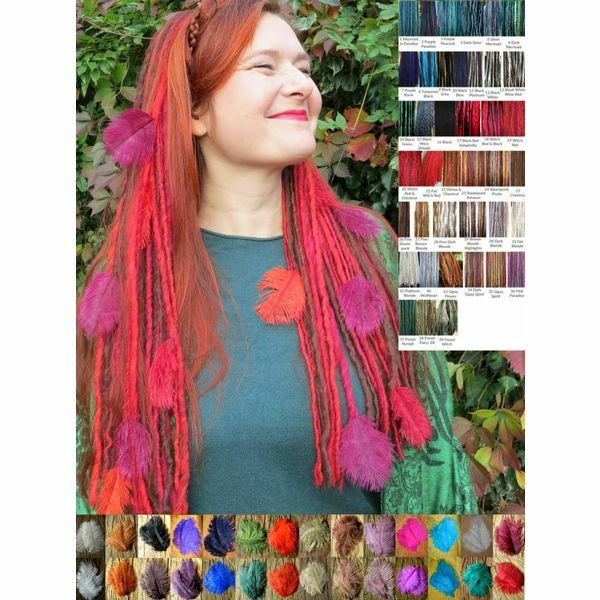 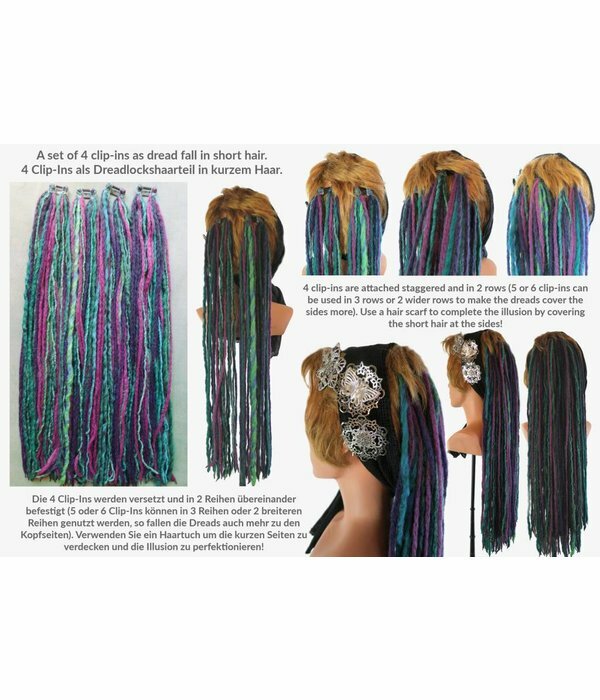 The dreads in these styling examples have different colors, you will get the blonde-brown mix here, please check our custom color listings for other colors! 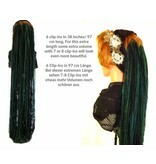 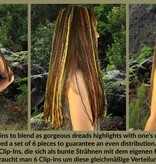 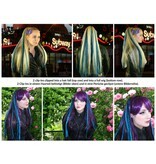 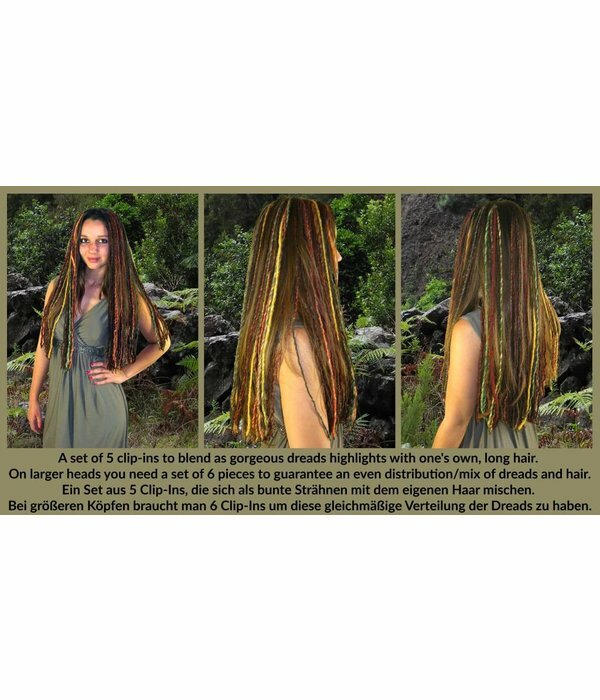 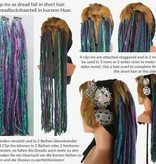 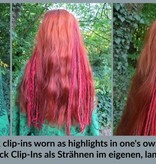 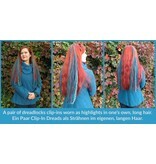 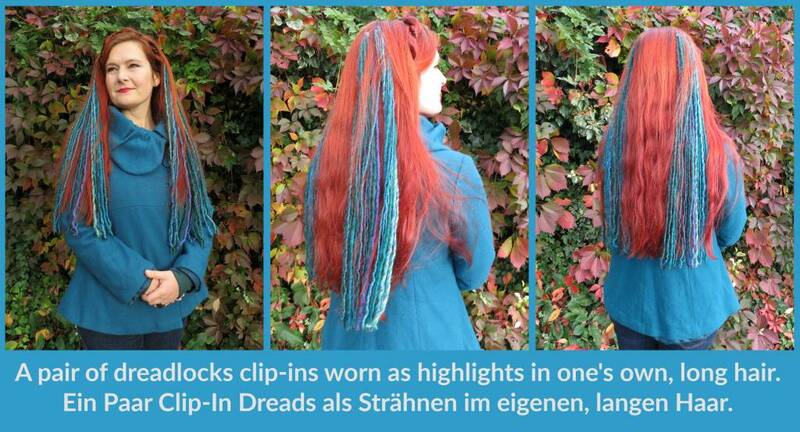 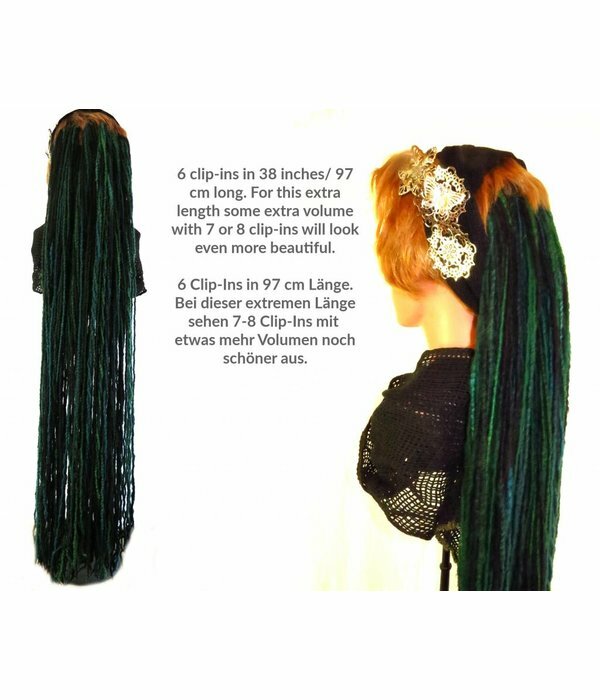 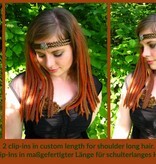 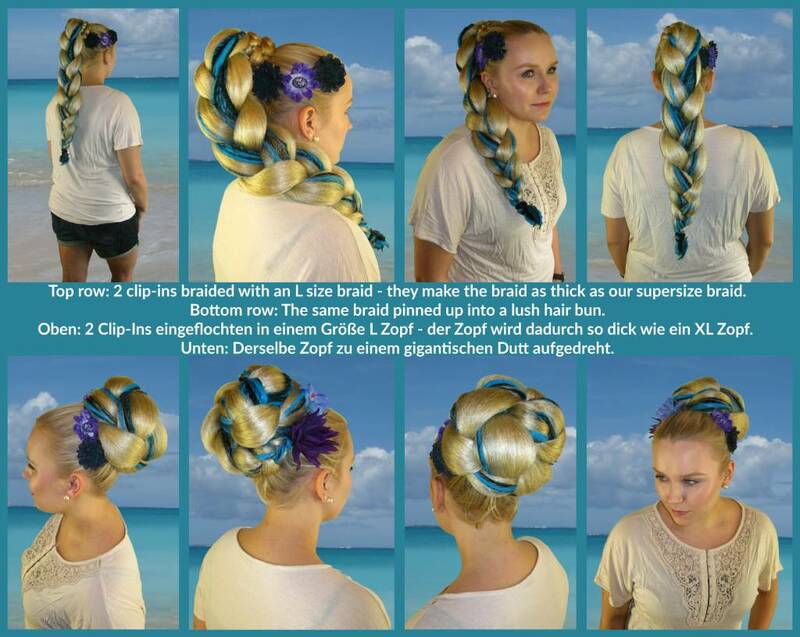 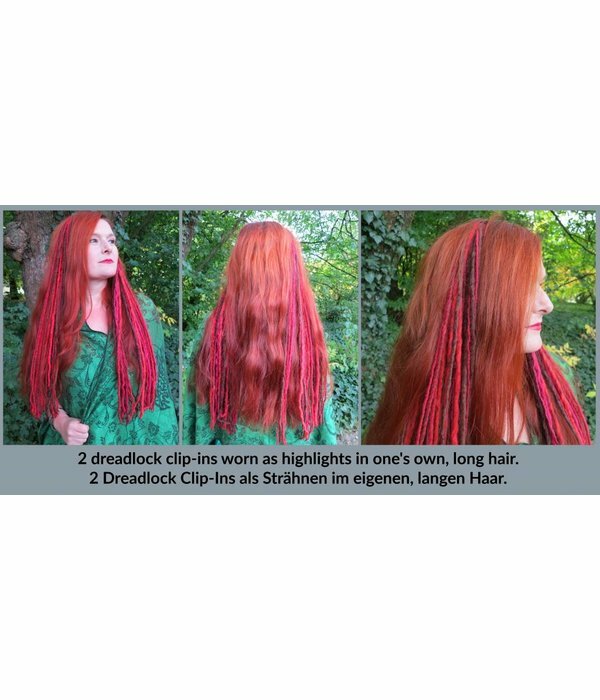 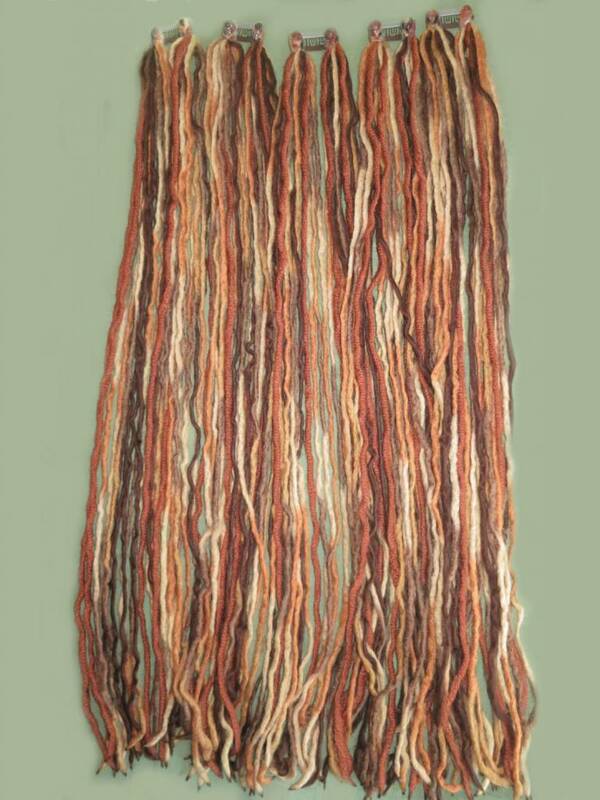 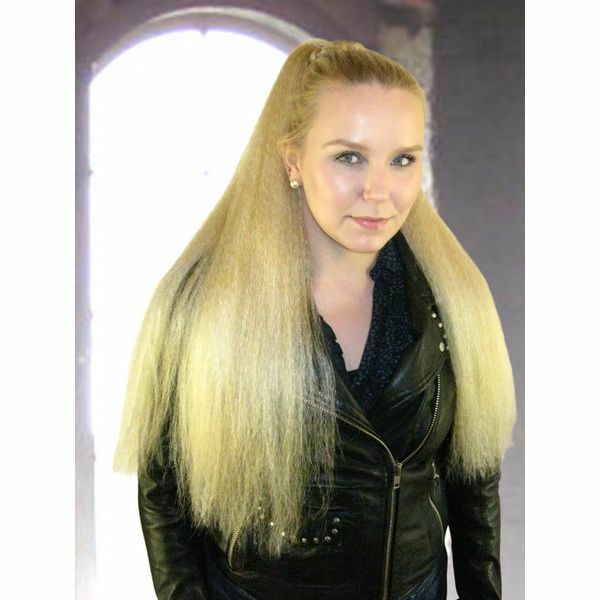 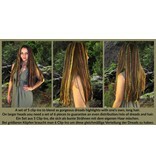 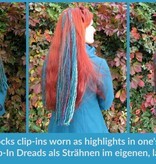 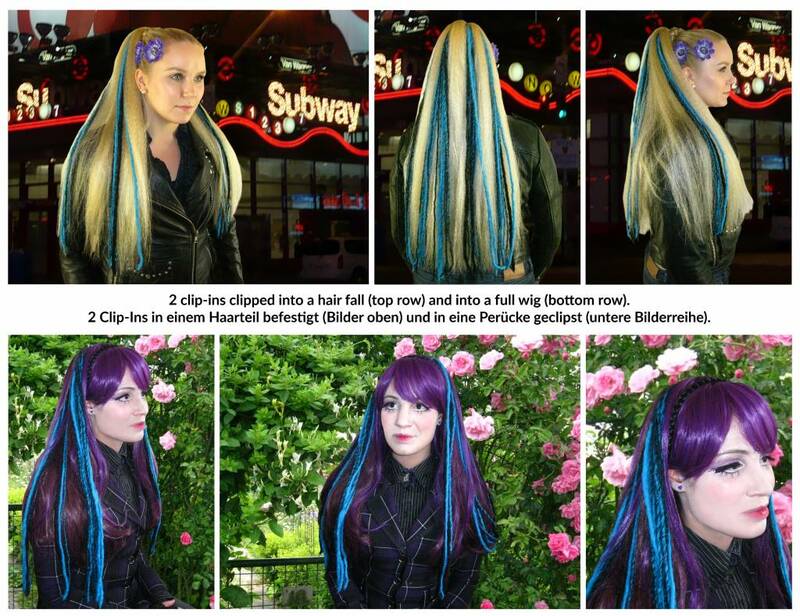 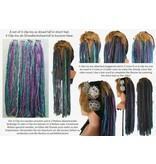 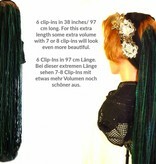 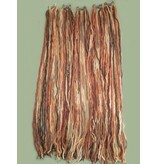 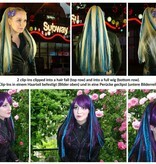 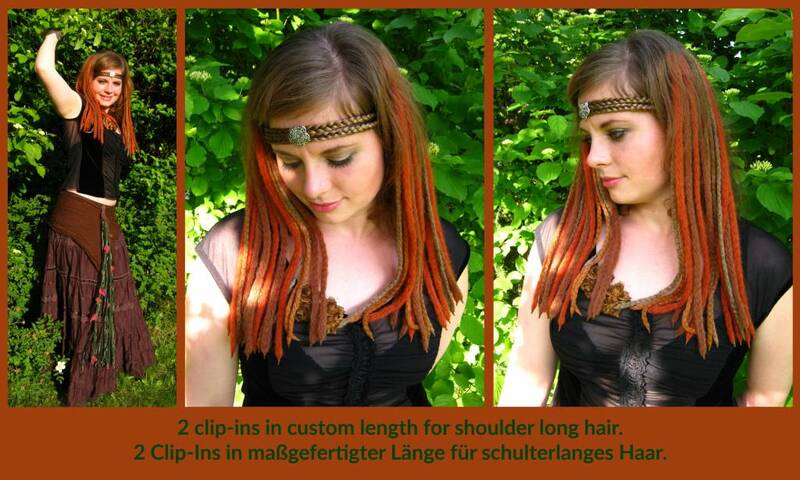 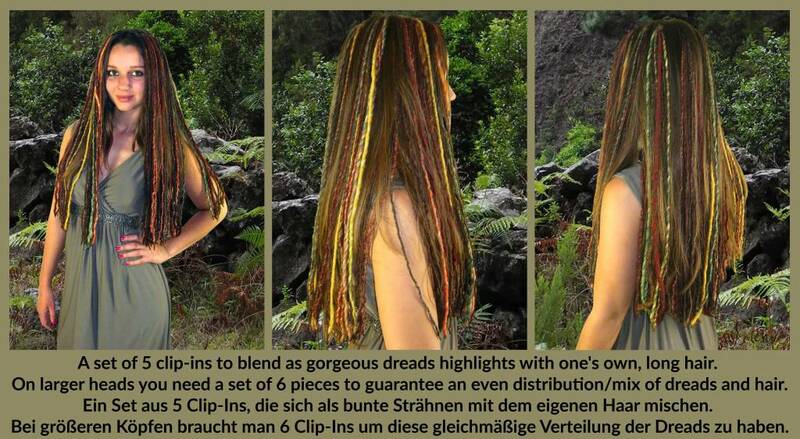 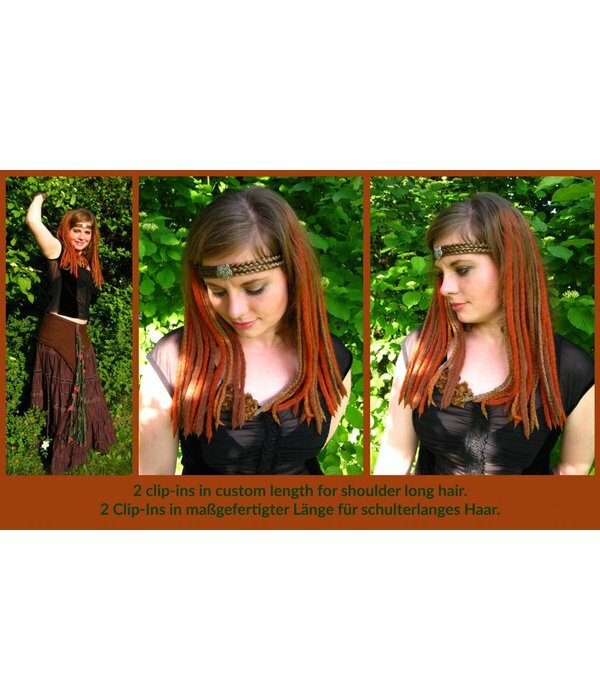 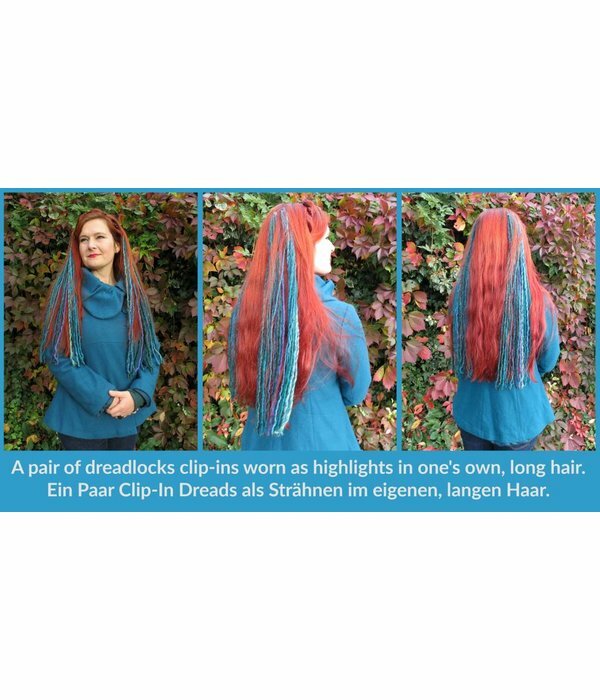 The single dreads are Ø 0.5 - 0.7 cm/ 0.2-0.3'' thick, these are extra thin dreads! 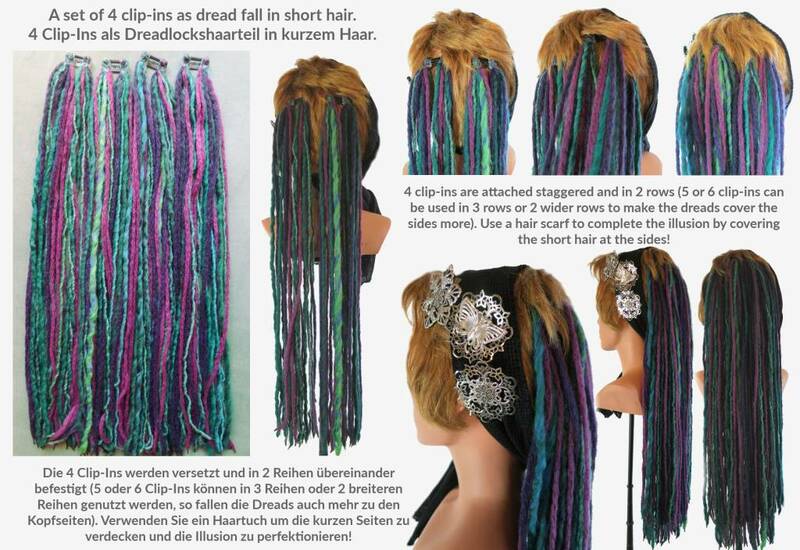 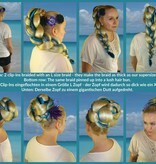 Each clip comes with 24 single dreads.